The children's trailer bicycle can detach from the adult bicycle, posing a fall hazard to children. 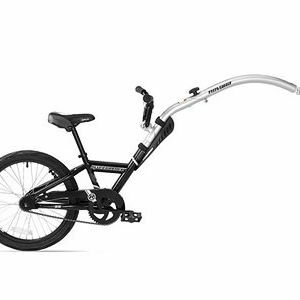 This recall includes about 5,200 Novara Afterburner trailer bicycles, a single-wheel children's bicycle that attaches to -- and cannot be operated independently of -- an adult bicycle. REI stores nationwide from February 2007 through June 2007 for about $160. Immediately stop using the bicycle trailer, visit the nearest REI store, or contact REI for a free replacement part, a full refund, or credit. For additional information, contact REI at (800) 426-4840 between 4 a.m. and 11 p.m. PT seven days a week, visit their Web site at www.rei.com, or contact your local REI store.